All work must meet Local Building Codes and permits will be obtained by owner if applicable. As of the approval date of this alteration, I accept full responsibility for all the upkeep of the altered area and to maintain it in a safe condition. Please enter Unit Owner name. Please enter Nature of Modification. By typing my name in the box below, I confirm that I accept the terms and conditions set forth above. We will email you a copy of your message. Please confirm you receive it.  Please add "info@elitemgt.net" to your safe list to ensure you receive our emails.